Kristin’s Dad & Mary Beth came to Philly to visit us this weekend. We all had a great time together. We showed them our house, our neighborhood, and our local park. Our visitors arrived on Saturday afternoon. After chowing down on fresh sandwiches, we showed them our beautiful yard and all the hard work we’ve done on the house (that tour alone could take all day!). We enjoyed a delicous dinner at California Cafe. We had a (HUGE) brunch on Sunday morning and then set off to Valley Forge National Park for a long walk and some revolutionary war history. The weather was phenomenal! Dad & Mary Beth also came with gifts for Seahorse! These hand-knit gifts came from their summer adventures in Scandinavia (all the kids in Sweden are doing it!). 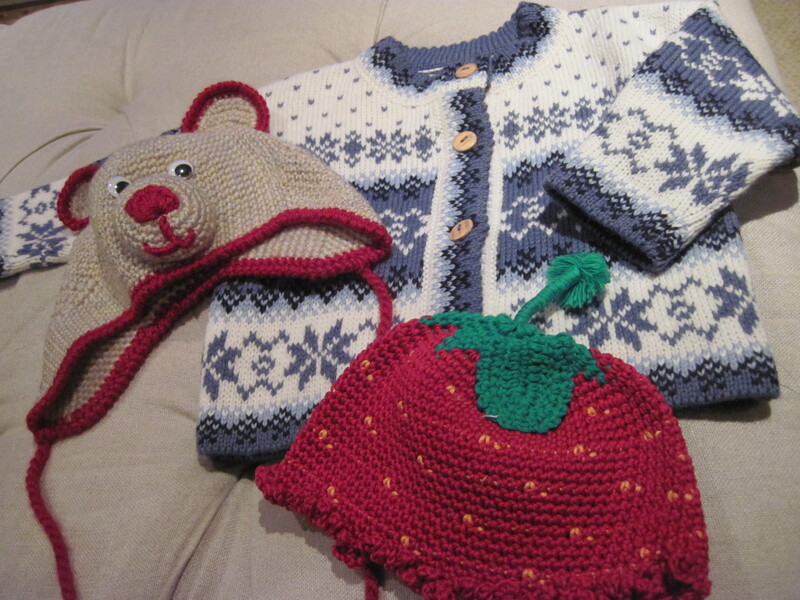 We can’t wait to show you pictures of the baby in his strawberry and bear hats! Thanks for a great weekend Dad & MB!! !